Am I bidding this job accurately? If we win it, will we be able to stay on time and budget? The level of confidence you have in answering “yes” to those questions is dependent on the level of due diligence you put into your estimation process. An earthmoving and site preparation job, for example, could require a great deal of soil testing to determine the best course of action for soil stabilization. It could require development of contingency plans for weather events or other unforeseen issues (and even contingency plans for those contingency plans). And depending on the size of the job, it could require an analysis of a network of haul routes. Regardless of job size, however, it will require that you look at what equipment is needed to accomplish the work and how much it will cost to acquire, operate and maintain that equipment. From a haul route and fleet optimization perspective — this is where a construction business owner can and should turn to a trusted equipment dealer and/or OEM for assistance. Here are just a few ways Volvo and our dealer network can help ensure you are bidding accurately and competitively on your next big job. Jobsite evaluation: A GPS device is used to gather haul route data including distances, curves and road gradients. This data is then imported into Site Sim, along with any applicable jobsite-specific factors such as bank density, swell factor, average bucket fill percentage and ground conditions (to calculate rolling resistance and fuel efficiency). Operating hours: Next, you enter estimated working hours per machine — including average shifts per year, average shift duration (minus non-operating delay per shift), then subtract estimated scheduled maintenance time. This is where information from a managed telematics programs like ActiveCare Direct can also come in handy. Unlike traditional telematics programs, ActiveCare Direct provides an easy, at-a-glance monthly fleet report with historic fleet information that can easily drive your decision-making and provide the most accurate inputs at this stage of fleet planning. See below for some of the key data points that would be helpful at this stage of planning. Equipment options: Next, equipment models and bucket sizes are input into Site Sim, and the program generates the production analysis (outlined below). From there, you can go back and run alternative scenarios with different fleet configurations to compare results side-by-side and find the most efficient mix. Production analysis: The final production analysis includes data points such as average cycle time, average bucket passes to fill hauler, estimated average fuel consumption per hour, and, ultimately, a comprehensive fleet analysis outlining fleet production per year in cubic yards. Machine utilization can be further reviewed in a cycle time breakdown, outlining exactly how the hauler is spending time during each cycle, including average load queue time, average spot time at the loading unit, average travel time, average spot time at dump, and average dumping time. While the production analysis provides some good baseline information for operating costs, a more comprehensive estimation should include everything from depreciation schedules, taxes, insurance, estimated resale value, service plans, tire replacements and maintenance costs — along with monthly financing costs. 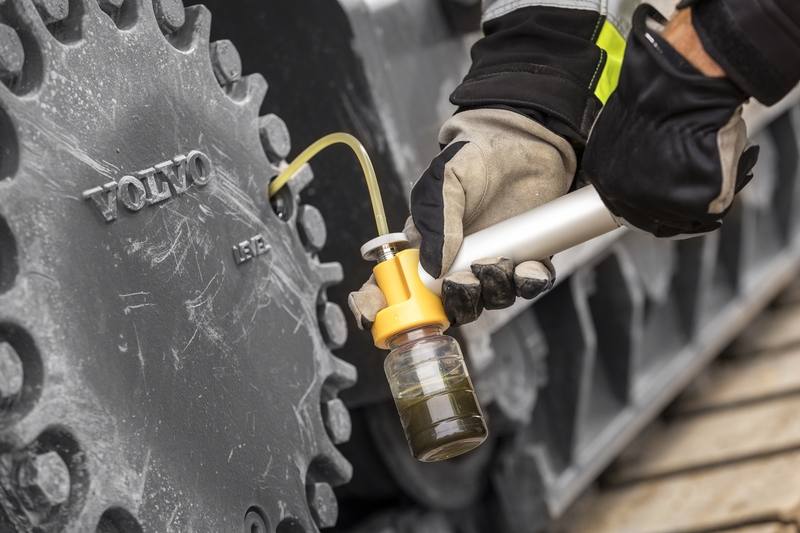 Volvo and our equipment dealers can work with you to build the right financing and ongoing support package, while also incorporating your business’ estimated costs into the total operating cost estimation. While this all sounds like a lot to do before going into a bid – it’s essential information for bid accuracy — particularly when going after a large site prep job. 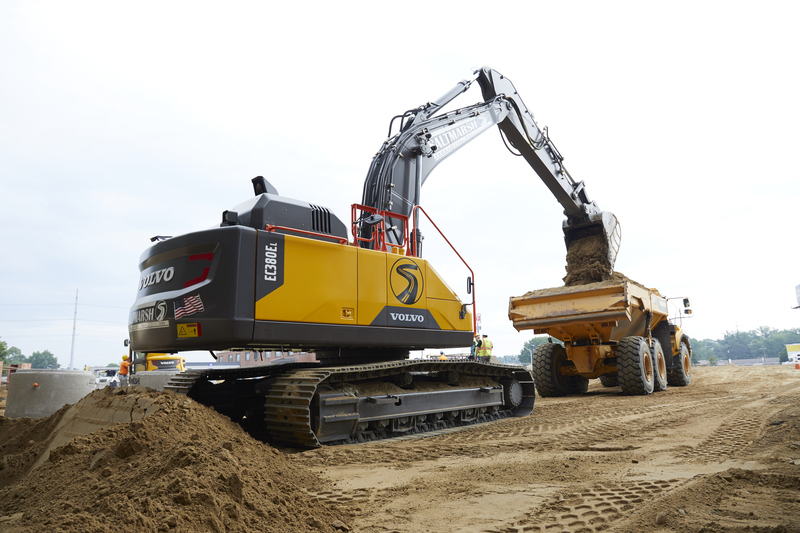 Take this recent example of how Landmark Construction consulted with Volvo Construction Equipment for a Site Sim study, along with Volvo Financial Services for a financing package and Volvo equipment dealer, Ascendum, for sales and service agreements — all before finalizing the bid for the job. The end result? They won the biggest job in their 50-year company history: a massive $69 million site preparation job. Volvo and our dealer network can partner with you to build a complete package — from site simulation and fleet configuration recommendations, to financing, telematics support and customizable support agreements. Contact us to help build your total package.